I make this one just in 1h. Is very simple, but i love Bill´s face. Great work, I love the original photo! Ola minha kerida, por acaso axo k n ta nd d especial, mas fico msm feliz k tenhas gostado..
noo! 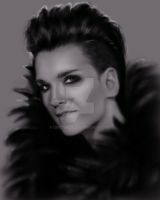 Drawing and Bill are perfectly! You! Yeah YOU!! Right there! YOU DID AN AWESOME JOB!!! 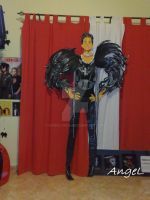 Largest Tokio Hotel group on dA!